Why do newborns need to be adjusted? When we think about the birthing process we often think about how stressful it is on the mother, both physically and emotionally. But the baby's journey into this world is often accompanied by these very real, harsh, stresses as well. Both traditional and c-section deliveries are often accompanied by twisting, pushing, and pulling on the baby's fragile head and neck. 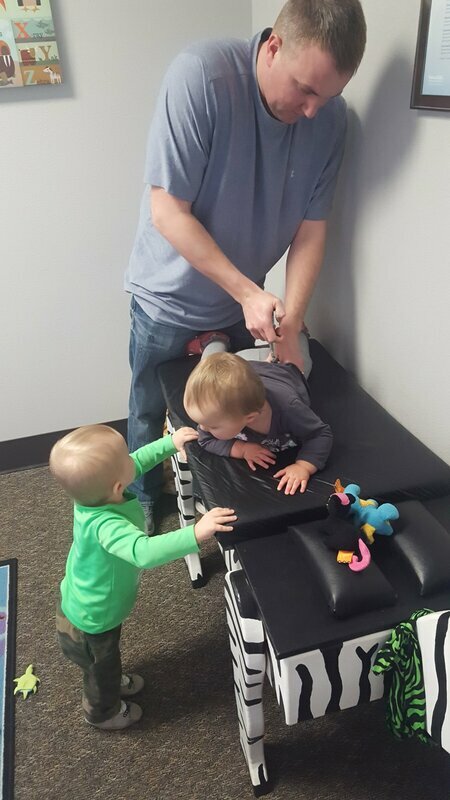 Although not all babies need to be adjusted, they still need to be checked to ensure they are starting their new life with as little interference as possible. Reducing any nervous system irritation from months of the same position in mom, or the harsh birthing process will allow their spine to grow rapidly and correctly from the start. 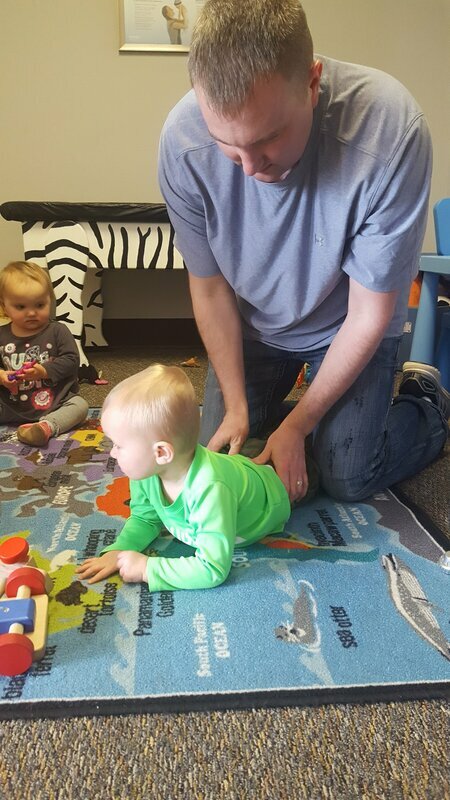 A child's spine will grow 50% in length within the first year of life, a rate unmatched at any other phase in a child's growth and development. 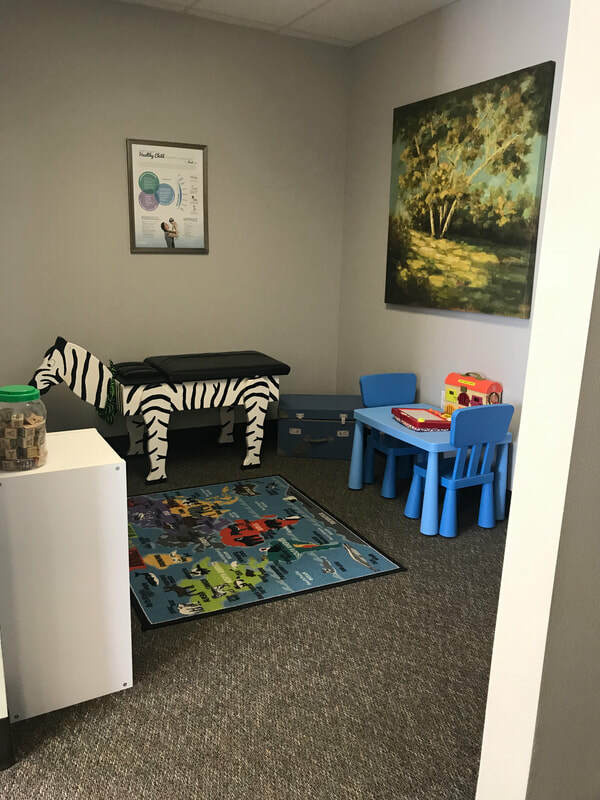 Checking a child's spine is vital to ensure that a very small, easily reversible problem does not grow into a much larger, potentially irreversible problem years down the road. Many health problems that emerge in adulthood can often be prevented by having your children’s spine checked by a Chiropractor early. By the age of 6, all motor and sensory functions we use as adults are already fully developed. After this time we can only enhance these abilities and perfect their use. How often do kids fall? When a child is learning to walk they fall multiple times a day, sending tiny jolts up their spine, which seem harmless but can actually cause a subluxation, or misalignment. These subluxations are often the root of more noticeable symptoms for parents. When the nervous system is interfered with misalignments in the spine, the child's immune system and digestive system (to name a few) also take a toll. Whether your son grew 5 inches over the summer or your daughter is beginning to mature hormonally...the teen years are full of their own excitement. It's is this time that hormones, competitive sports, and social stresses start taking their toll on the overall well being of the teen. Chiropractic care should be the driving force for balance and well being for optimal health of your teen.